CoinGecko is a free to use web-based and mobile application that provides financial market data for more than 2000 digital currencies. One largest cryptocurrency data aggregator in the world and support almost all the major digital currencies including Bitcoin, Ethereum, EOS, NEO and DASH, etc. And connected with more than 150 world largest exchanges such as Binance, OKEx, HitBTC, and Coinbase, etc. With the help of this platform, you can get trade volume, market capitalization, and exchange volume. Xapo Bitcoin Wallet & Vault is a Free mobile-bitcoin and multi-currencies wallet that combines the convenience and industry-leading security to managing digital currencies and sending money to friends and family instantly all over the world. It provides the best tools you need to purchase bitcoins, then manages them through this easy to use wallet. Bitcoin Wallet is another mobile application that allows you to send and receive digital currencies. It is free, simple and secures mobile application and available to use on Android platforms only. The application no requires registration, web service or cloud needed, this wallet us de-centralized and peer-to-peer. It displays of Bitcoin amount in BTC, mBTC, and BTC. Bitstamp is a free simple and secure mobile application to trade bitcoins anytime anywhere around the world and stay updated with real-time market data. It is free to download and use application require registration with your verified email address. Bitfinex is a free to use mobile application which provides advanced services for cryptocurrencies traders and liquidity providers. The app allows the traders to enjoy real-time exchange trading and margin trading while liquidity providers can enjoy the largest peer-to-peer digital currency financing market. zTrader Altcoin/Bitcoin Trader is a full-featured, lightweight, simple and secure trending client for largest Bitcoin and altcoin exchange. It is one of the best Bitcoin and altcoin cryptocurrency trader that also capable of trading hundreds of digital currencies on more than 17 different exchange. The app delivers everything you need to trade right from your mobile device. Mycelium Bitcoin Wallet developed and published by Mycelium Developers. It is a simplest and fastest way to send and receive Bitcoins using your smartphone. Its unparalleled cold storage functionality allows you to 100% safe and secures your funds you are ready to spend them. With the help of this platform, you can easily buy, store and sell all the popular digital currencies in all over the world. Bitcoin Price IQ is one of the best Bitcoin or cryptocurrencies price tracker application that lets you analyses and checks the latest prices of all the digital currencies such as Bitcoin, Litecoin, Ethereum, and DASH etc. All the crypto prices are extracted in real-time from more than a dozen of the most popular cryptocurrencies exchanges and denominated in more than 165 fiat currencies. LibertyX is a Free Mobile Application that lets consumers buy digital currency instantly at more than 19000 local stores nationwide. 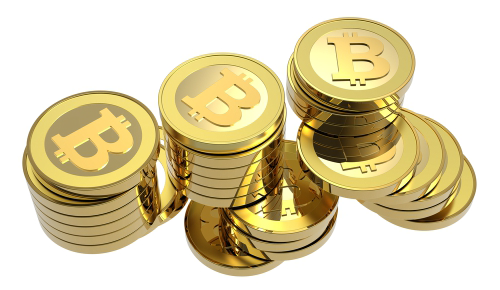 It operates the largest cash to bitcoin onramp network in the user launched in 2013. It is one of the best and secure applications which only show all the verified nearby store. The app also allows you to purchase, store and sell online digital currencies in all over the world. Cryptonator is an all-in-one safe and secure cryptocurrency wallet which support multiple cryptocurrencies including Bitcoin, Litecoin, and Dash etc. The app enables fast and easy direct transactions and allows instant exchange between different currencies ion one personal account. Cryptonator is more secure than other with up to 4 million active accounts.